In an odd twist of tradition, a newer version of Android has leaked for an HTC device before a Samsung one. Yes, I’m talking about the Android 4.3 update that recently leaked for the HTC One, complete with Sense 5 enhancements and looks. It was leaked by popular developer LlabTooFer, who has released it as a custom ROM – called MaximusHD – but has promised to release the untouched version on August 28th (that’s tomorrow). That’s not a big list of features, but Android 4.3 is a small upgrade anyway, with focus on under-the-hood changes and performance. It works well according to reports, and that means we could see an official rollout of the update soon, as promised by HTC a few days back. Circling back to the ROM itself, we’ve created a guide to help you install that ROM on your HTC One, with clear step-by-step instructions. So, instead of wasting any time, let’s get started, though make sure to get more details on the ROM at the source link before proceeding with the installation. Disclaimer: We don’t take any responsibility if you decide to follow the instructions below. While everything has been tested and works, we won’t be held liable if your device stops working, runs away with the neighbor’s cat, or exhibits other odd behavior. This is only for the international variant of the HTC One and will not work on carrier variants like AT&T, T-Mobile, Verizon etc. It will only work on the GSM HTC One. Take a backup of all the data on your phone. Flashing this ROM requires wiping data/factory resetting the phone, which will wipe installed apps, your Google account, SMS, contacts, etc. If you’re rooted, you can use apps like Titanium Backup and MyBackup Root, and if not, use apps like Helium or Super Backup. Then, after you’ve backed personal data up, copy everything off the phone’s storage to a computer, which will save your pictures, music, other personal files, and the backups you took. NOTE: Backup is optional and you can skip this step if you do not wish to back up anything. NOTE: If you’ve already unlocked the bootloader on your device, you can skip this step. Flash TWRP recovery on your phone, which is a custom recovery that is needed for flashing the ROM. Use our guide here for help with installing TWRP recovery. Once you’ve installed TWRP, come back to this guide and follow the steps below. Download the latest version of the ROM from the source link (it’s just above the Requirements section). Copy the downloaded ROM file to the internal storage. Remember, copy the file itself, don’t extract it to the phone. Turn off your phone. Then, boot into HBOOT/bootloader mode by holding down the Volume down + Power buttons together till the screen turns on. If the phone turns on normally instead of going into HBOOT, make sure the “Fast Boot” option is disabled in the phone’s Settings » Power menu, then try booting into HBOOT. First, let’s make a backup of your current ROM so you can return to it if you don’t like the ROM you’re about to flash. To do that, select Backup, then swipe the circle to the right to start the backup. Go back to the main TWRP menu after backup is complete. Now, choose Factory Reset, then confirm data wipe swiping the circle to the right. This will NOT wipe your internal and external storage contents, it will only remove installed apps, settings, your Google account and data like contacts and SMS. Go back to the previous screen after wipe is complete. Select Install, then browse to and select the ROM’s file that you copied to the phone. Confirm installation on the next screen. Once installation is complete, select the Reboot system option that shows up to reboot the phone into Android 4.3. Updating to newer versions of the ROM: The ROM will be getting future updates that fix and improve things, in order to install an update, copy the update file to the phone and install it from recovery. Make a backup in recovery if you want to, but don’t wipe data when updating, as wiping data is only required when flashing a ROM for the first time. Select Restore, then restore the backup you had taken by clicking on it in the backup list. Once restore is complete, reboot the phone by selecting the Reboot system option. 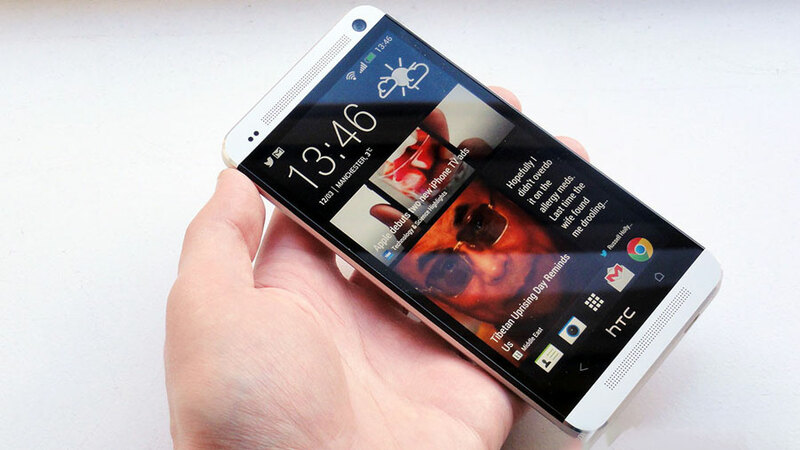 The Android 4.3 ROM is now installed on your HTC One. Put it through its paces, and have fun using the latest version of Android on your beautiful smartphone. We’ll update this guide once the untouched Android 4.3 firmware is released, so stay tuned.